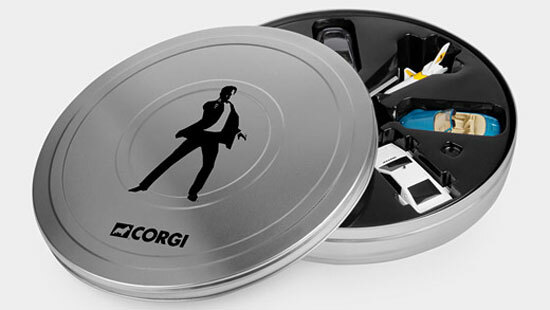 There’s a lot of Bond-related merchandise around right now, but when it comes to kids, we think this James Bond 007 Miniature Vehicles Set is top of the pile. 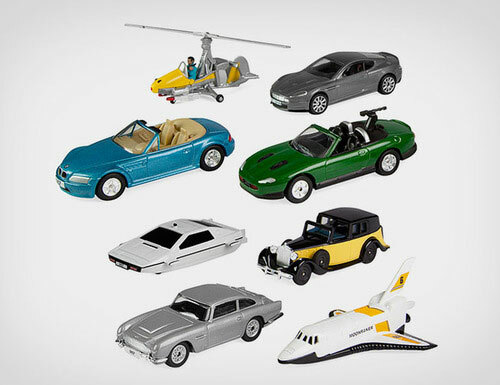 Described as the most comprehensive collection of Bond vehicles, this set of eight miniature die-cast models features a selection of the films’ most memorable vehicles. Those being the Aston Martin DB5 from Goldfinger, the BMW Z3 from GoldenEye, the Aston Martin DBS from Casino Royale, the Little Nellie from You Only Live Twice, the Jaguar XKR from Die Another Day, the Lotus Esprit Underwater from The Spy Who Loved Me, the Rolls Royce III from Goldfinger, and the Space Shuttle from Moonraker. They are aimed at children aged three and up, who probably will not know any of the films in question. They will just view them as quirky vehicles that are fun to play with, which is essentially what they are. If you or your child wants to play with them, the price of the set is $60.